Designed for speed and endurance sports. where you need top moisture management for your socks, but cutting every gram of weight could mean the difference between first or second place and your best time, 1000 Mile Race Socks are perfect for running and cycling. 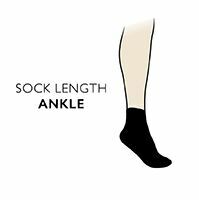 These ultra-lightweight, low bulk socks are made from a special blend of fibres, including fast drying and soft Tactel, controlling moisture, keeping feet cool and dry. The socks incorporate vented areas in the foot for superior breathability and air circulation, ‘heel power’ technology for sure grip, preventing slippage and arch bracing for added hold and full support for feet under pressure to perform.